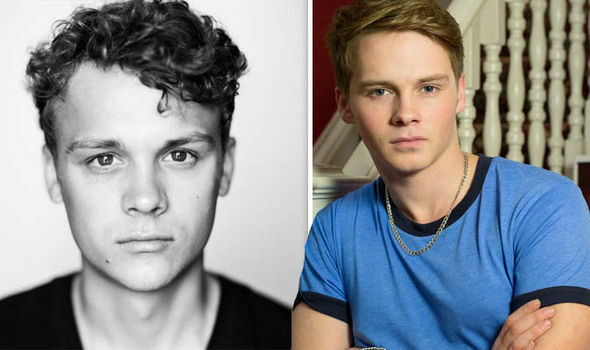 EastEnders are bringing back Danny Dyer's on-screen son Johnny Carter with hunky new actor Ted Reilly playing the role. Johnny Carter, played by Sam Strike, came out as gay on the soap before leaving to “go travelling” with his boyfriend and made his last appearance in December 2014. Now Johnny will return back on screen next month, only this time he will be played by Ted. Preferred the older - ie younger - one. Is there anyone, apart from journalists, who actually uses the word 'hunky'? PS It's pretty obvious Sam Strike quit the role as he thought the plotlines for the young gay character, post his coming out, were beyond lame. "Is there anyone, apart from journalists, who actually uses the word 'hunky'? " I have used this on PN; a mite sarcastically, I think; e.g. about Gay Dads, who are always ever so hunky and quite often with their shirts off showing their tattoos alongside their infants. When oh when oh when oh when are they going to bring back Nasty Nick ?